A teenage boy who was seriously injured in a road collision in Leeds has lost his fight for life. Thomas Easton, 13, from Morley, was left in a critical condition after being hit by a truck last Wednesday, September 19. Wide Lane in Morley. Photo: Google. West Yorkshire Police have now confirmed that he died in hospital in the early hours of today. Officers say they want to hear from anyone who witnessed the collision, which happened on Wide Lane in Morley shortly before 2pm. 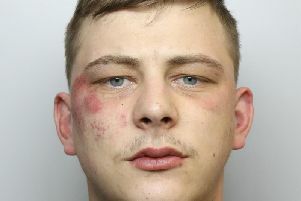 Initial enquiries indicated that Thomas had just got off a single-decker bus and was crossing the road when he was hit by the Nissan Navara pick-up truck. Anyone with information is asked to contact the West Yorkshire force’s Major Collision Enquiry Team via 101.